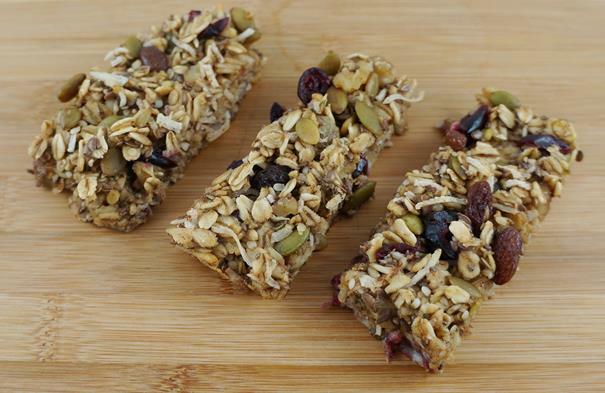 A soft tasty oatmeal granola bar that’s so easy to make. Choose a combo of ingredients to suit your liking. Preheat oven to 350°. Lightly butter 9” x 9” pan or line with parchment paper. Mix oats, nuts, fruit, seeds, coconut, sugar and cinnamon together in a large bowl. In another bowl whisk together cooled TEA, egg and vanilla. Pour over wet ingredients and stir until combined. Pour into baking dish and smooth out ingredients using a spatula. Bake for 35 - 40 minutes. After removing from the oven, cut into squares. Let cool completely then remove bars. Store in the fridge or freezer. Bars could be wrapped individually for an easy on the go snack. Note: These bars could also be made without the addition of the sugar if desired. Red Rooibos, Honeybusch, coconut shreds, almonds, rose petals, coconut almond flavour make this an irresistible delight.